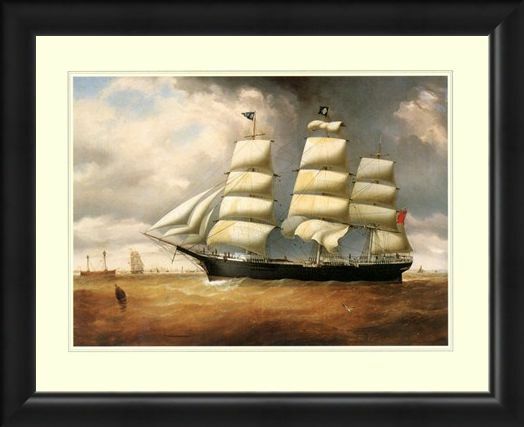 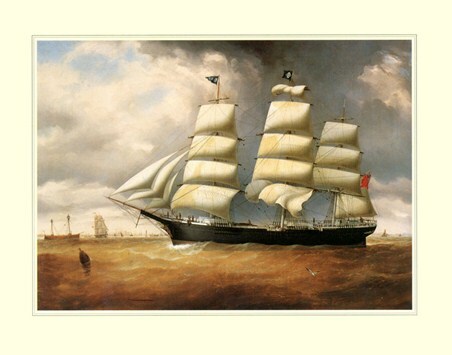 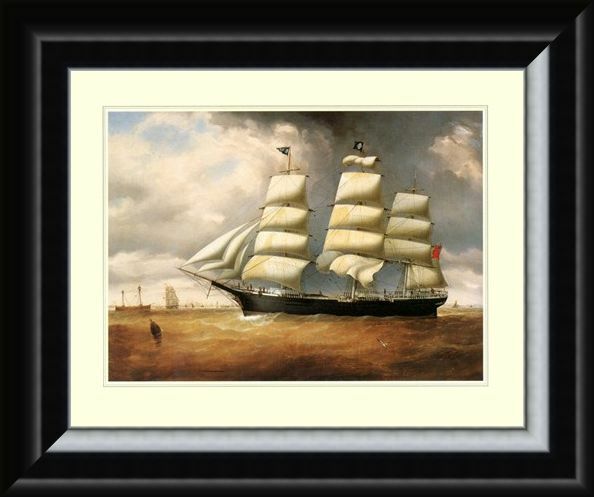 Mini Art Print: From a private art collection comes this wonderful mini print featuring the ship called Duncairn, pictured with it's magnificent sails blowing in the wind as it soars across the choppy seas to it's destination. The turbulent skies billow overhead as the grand Duncairn rocks back and forth housing a staff of busy deck hands going about their tasks. 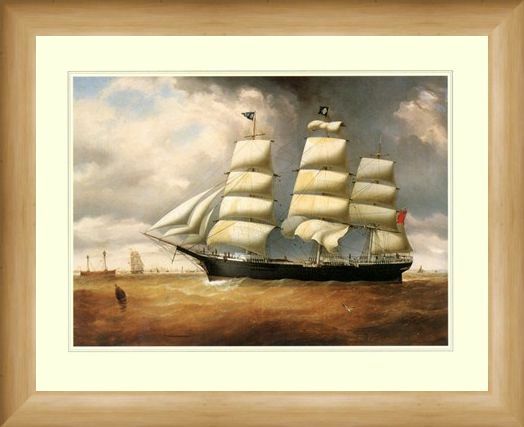 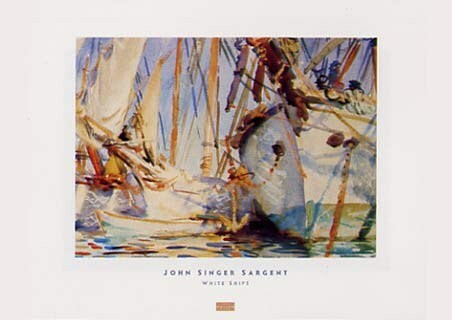 This eye catching print will make a great addition to your wall if you appreciate intricate marine art which captures magnificent seafaring ships from across the world. 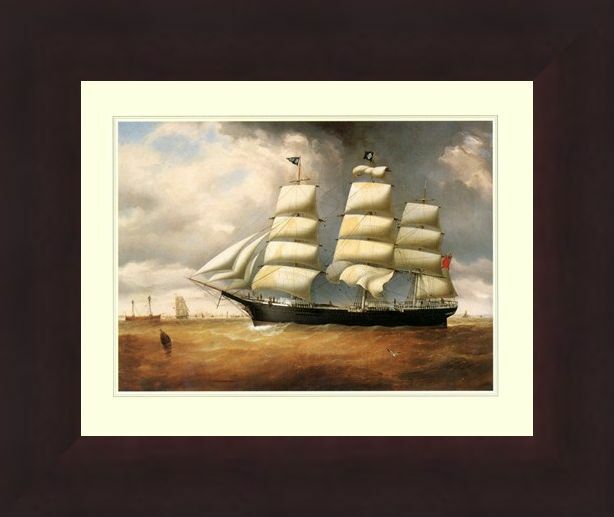 High quality, framed The Ship 'Duncairn', Sailing the High Seas mini print with a bespoke frame by our custom framing service.